The British psychedelia movement during the 60's drew on sources such as travel, spirituality and the introduction of new sounds, compositions and languages within lyrics. Inspired by the sights and sounds of new surroundings many musicians and bands have been heavily influenced by travel. Perhaps the most famous inspiring trips is the Beatles retreat to India. 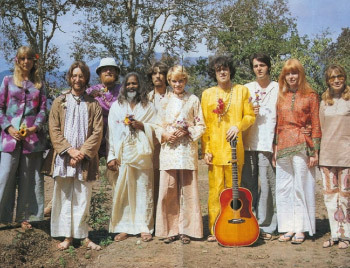 The band had begun to find themselves often distracted from writing and experienced ‘writers block.’ It was during this time that the band decided to go on a trip under the guidance of Maharishi Mahesh Yogi. The title Mahrishi means ‘enlightened spiritual one’ and he taught the band ‘Transcendental Deep Meditation, a new movement of spirituality. The bands time in India has a dramatic influence on their personality and music and is regarded as their most productive period, with the band writing many songs on their visit. McCartney composed ‘Mother Nature’s Son’ after one of the Maharishi’s lectures. Beatles songs began to incorporate traditional Indian instruments such as the Sitar and Tanpura and also included Indian chants. In the song ‘Across The Universe’ Lennon chants ‘Jai Guru Deva’ indicating the strength and change the Beatles gained from the influence of Maharishi Mahesh Yogi. Morocco was to the Rolling Stones as India was to The Beatles. The band later returned to Morocco in 1989 for a 3 day trip to record the song ‘Continental Drift,’ This song was a mark to the return of different culturally influenced music that the Stones had experimented with back in the 60’s. The influence of travel and culture over music is something that is prominent throughout rock and roll history and continues to be a massive influential factor over modern music. 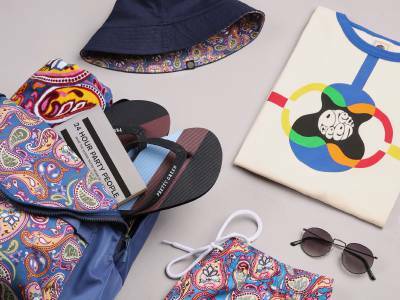 Our SS16 "Journey of Paisley" campaign is a tribute to rock stars absorbing the culture and spirituality of far flung places. Shot in the desert in Morocco the campaign gives us a visual snapshot of travel and adventure. 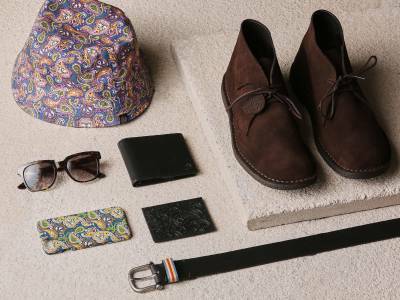 Key pieces from the collection feature paisley prints and a rich colour palette for the summer months.